There is now a considerable amount of high integrity evidence available in the public domain which clearly demonstrates that President John F. Kennedy was killed by a massive and complex conspiracy coordinated by the Central Intelligence Agency (C.I.A.). In fact, the abundance of JFK assassination information and data, that can be found on the Internet alone, proves conclusively that the C.I.A. was directly responsible for that military-style murder in Dallas on November 22, 1963. What has also emerged from the volumes of evidence, both hard and circumstantial, is that Lee Harvey Oswald played no part in the assassination plot. Much of the most authoritative intel indicates that Oswald infiltrated the C.I.A. conspiracy while working for the Kennedy brothers—John and Bobby. And, that he was deliberately made the patsy as a warning to the Kennedys and associates never to play such ‘games’ again. The most concerning upshot of these revelations is that the C.I.A. continues up to this very day to manage the extremely complicated criminal cover-up. This means that individuals are still getting killed to enforce the ongoing conspiracy of silence. It also means that the C.I.A is still being run by at a high level of leadership by stone-cold criminal elements. The C.I.A. even had the audacity to give this assassination project an “ultra-secret code name”—Operation Zipper. The preceding exposé on Operation Zipper reveals many of the institutional co-conspirators that had to have been involved to ensure a successful execution and cover-up. As is always the case, the crime itself was short and simple; it’s the cover-up that really requires a lot of hard work and very real conspiracy to effectively maintain. And so they have…for 54 long years. Whenever it concerns the cover-up of such a highly consequential criminal conspiracy, time is always on the side of truth. The further away from the scene of such a horrific and far-reaching crime, the more likely the participants will succumb to pangs of conscience especially as they approach their latter years. As expected, the critical aspects of Operation Zipper have been disclosed by former C.I.A. insiders who were privy to many and certain details. For it was impossible to enforce absolute secrecy with regard to a furtive plot that amounted to a violent coup d état of the most powerful man on Earth. It simply cannot be done, no matter what the carrots and sticks are to comply. What distinguishes Operation Zipper is that it’s one of the longest running black operations in U.S. history. 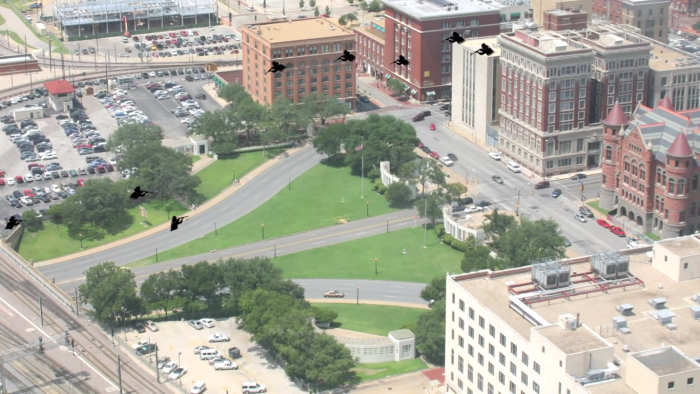 Nonetheless, the recent release of the JFK assassination documents from the National Archives is likely to provide some crucial pieces to the puzzle that have eluded professional investigators and deep researchers since 1963.
Who really did it and why? Of course, it’s not what the perps did or how they got away with the actual murder that’s important. Rather, it’s who ordered the hit, and why. The actual assassins were all killed soon thereafter so they received their comeuppance quite quickly. The low-level gophers who assisted the triggermen were also knocked off. Those tasked with setting up and scrubbing the crime scene were likewise silenced in a variety of ways. None of these criminal mercenaries had any definite knowledge of the “who and why”. In reality the cast of characters at the level right above the C.I.A. reads like a Who’s Who of clandestine power-brokers coming from across the USA and beyond. It also looks like a strategic intersection of the American Political Class, Military-Industrial Complex, Organized Crime (MAFIA), Oil & Gas Industry, Banking Sector and State Actors such as Israel and England. This is why it was so easy for the C.I.A. and FBI to implement the cover-up successfully for several decades. The number of stakeholders — both direct and peripheral — was extraordinary. That so many powerful individuals, families and companies wanted President Kennedy dead is a reflection of those dark times. For a somewhat comprehensive list of both active and passive participants in the Dallas coup, the following exposé breaks it down quite succinctly: Who killed JFK? And why did they do it? Then there is the extremely significant matter of the son who ardently wants justice for his father. That desire for justice and truth was so great that John F. Kennedy, Jr. was willing to run right into the jaws of death. Of course he waited until after his mother — Jacqueline Kennedy Onassis — passed on. Nevertheless, he left the nation a legacy known as GEORGE, his political magazine founded explicitly to tell the world who killed his beloved father. That the same group of perpetrators wasted no time killing JFK, Jr. only served to further confirm who was involved in the Dallas execution plot. That John, Jr. was planning to run for the New York State U.S. senator seat also helped reveal the next generation of traitors to the American Republic. So, with each passing decade the true picture becomes clearer as to just how deep and broad the criminal cabal really is. What has rarely been discussed is the calculation by the C.I.A. to present President Kennedy as a political leader with a weakness to engage in extramarital affairs. The deliberation which went into fabricating this patently false narrative continues to take place by quite purposeful design. Whenever such naked defamation of character is rehashed year after year, those culpable are deflecting a much bigger and damaging back story. JFK knew that he was the most closely monitored president is US history up to that point in time. He was not unaware of the massive and sophisticated spying capabilities of the CIA, NSA, FBI, and DIA (which was inaugurated during his presidency). Clueless about the national security and spying apparatus, JFK was not! His father, Joseph P. Kennedy, served as the U.S. Ambassador to Great Britain and was well schooled in the ways of Anglo-American espionage, state of the art surveillance and the use of “honey pots”. Therefore, JFK thoroughly understood that his EVERY move was being watched — 24/7. Being the most watched person in America, does anyone really think he would even attempt to “stray from the reservation” for the purpose of having whimsical sexual liaisons? In fact, Kennedy’s “alleged affairs with younger women were actually affairs of state”. It’s quite likely that these highly classified episodes during Kennedy’s presidency will never be revealed to the American people. Not only do they reflect badly on JFK’s killers, they serve to underscore the degree of outright treason that was routinely committed by the C.I.A. 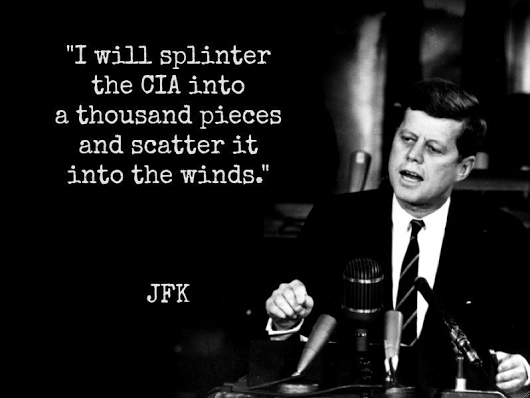 In other words, President Kennedy had no choice but to circumvent the U.S. Intelligence Community in order to accomplish some major objectives (e.g. resolving the Cuban Missile Crisis). Is it any wonder that Kennedy was fiercely determined to forever terminate the Central Intelligence Agency. There is no question that the C.I.A. was used by powers, both foreign and domestic, to take out JFK. Only The Company, as it’s known in intelligence circles, was big and bad enough to get the job done, and then cover it up until the real perps passed away. That’s one reason why it’s called The Company: it can effectively interpenetrate any company or government agency or non-profit institution it so chooses. However, many of the highest level assassination co-conspirators are still with us in 2017. And, the Truth Movement has seen to it that their current photos, as well as their individual parts in the assassination coup, are plastered all over the Internet. Now the whole world awaits with eager anticipation, as more and more Americans gather together with “torches and pitchforks”.